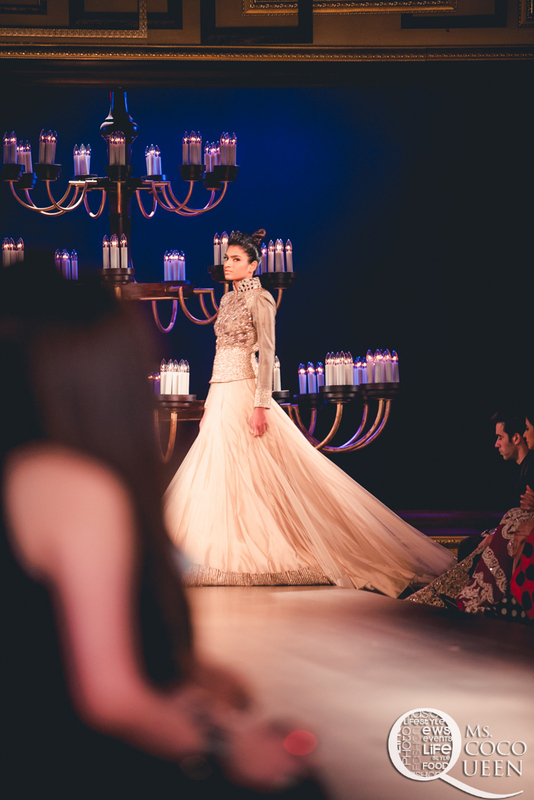 Manish Malhotra for India Couture Week 2014: 50 Shades Of Romance! 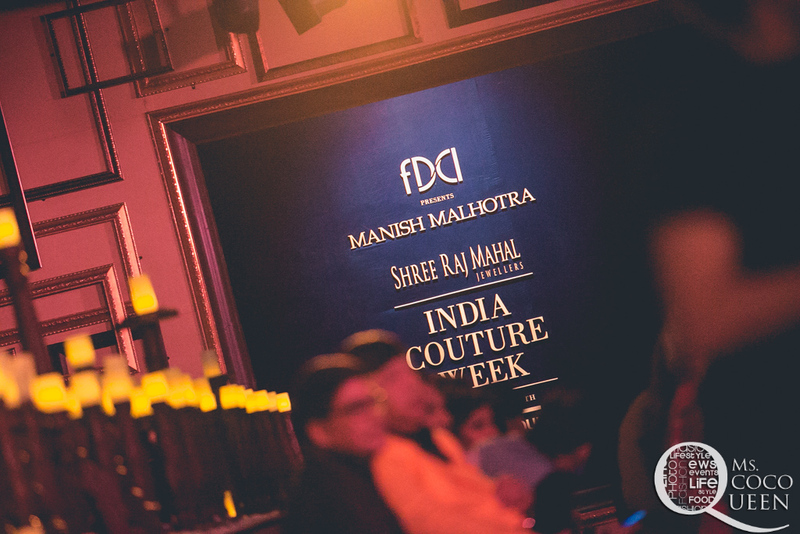 Like every year and every season there are shows we always look forward to, Manish Malhotra is certainly ‘like always’ one of the designers where people come in flocks to watch the show. The show arena was filled inch by inch as people kept pouring till the last minute. Even after an hour from its scheduled start time, there were 100, if not more, people standing out side to get entry. That’s how crazy people get to watch his show. Well celebrities do get their piece of pie as well. 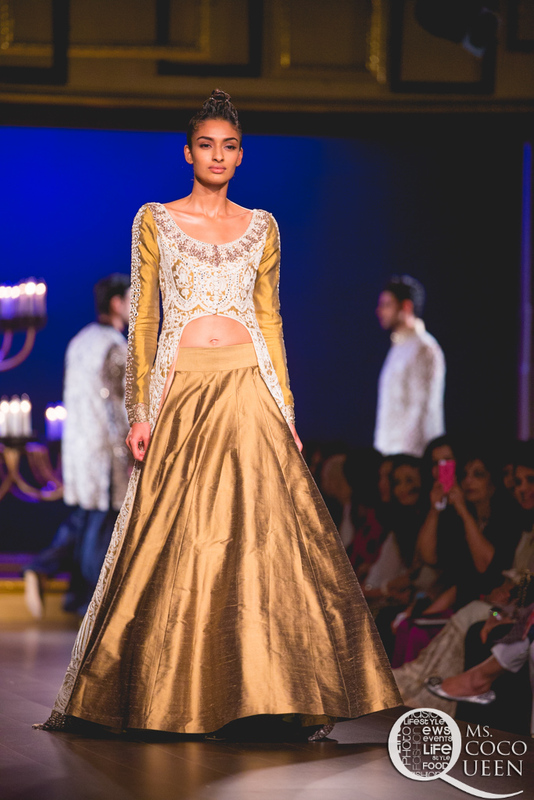 Three ramp set ups with twinkling candles and air smitten by the fragrance of mogra. The ambience was spilling romance all over. The walls were covered with empty frames depicting the theme of the collection – Portraits! And honestly unlike the last time I wasn’t disappointed! 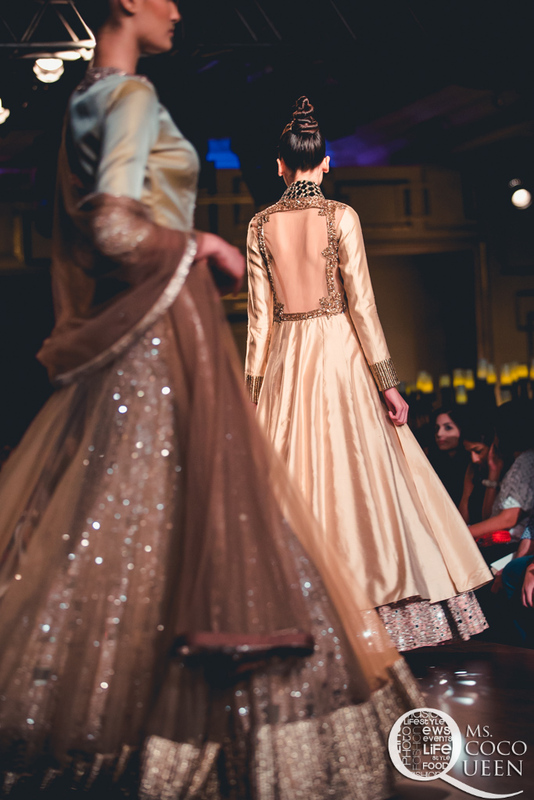 Couture in India is misunderstood as just bridal wear. 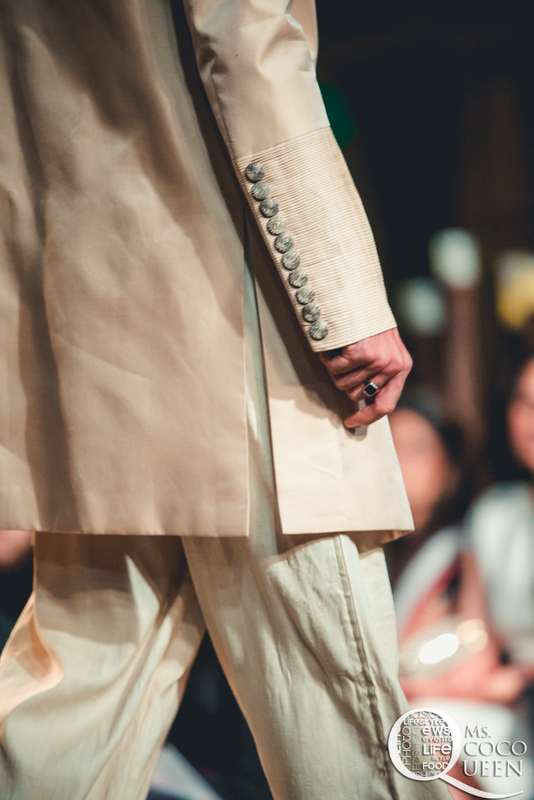 But anything that is constructed by hand from start to finish, made from high quality, expensive, often unusual fabric and sewn with extreme attention to detail and finished by the most experienced and capable seamstresses, often using time-consuming, hand-executed techniques is termed as couture. 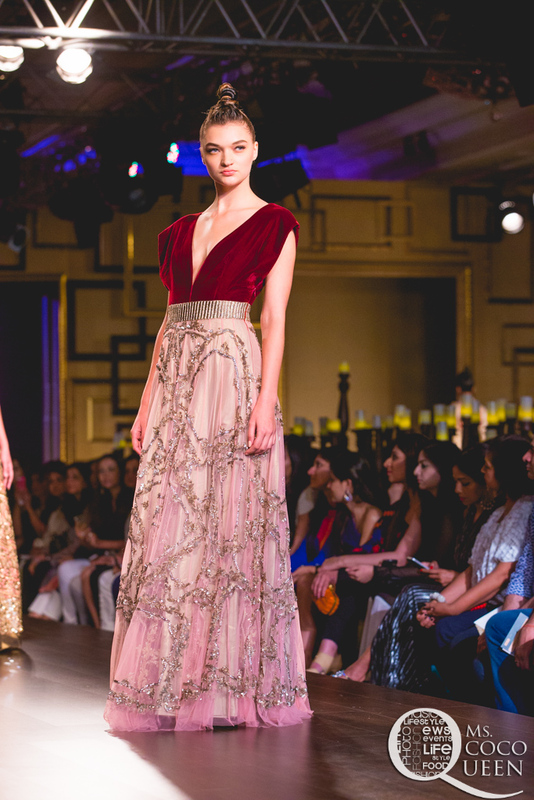 Manish Malhotra showcased a well balanced collection. 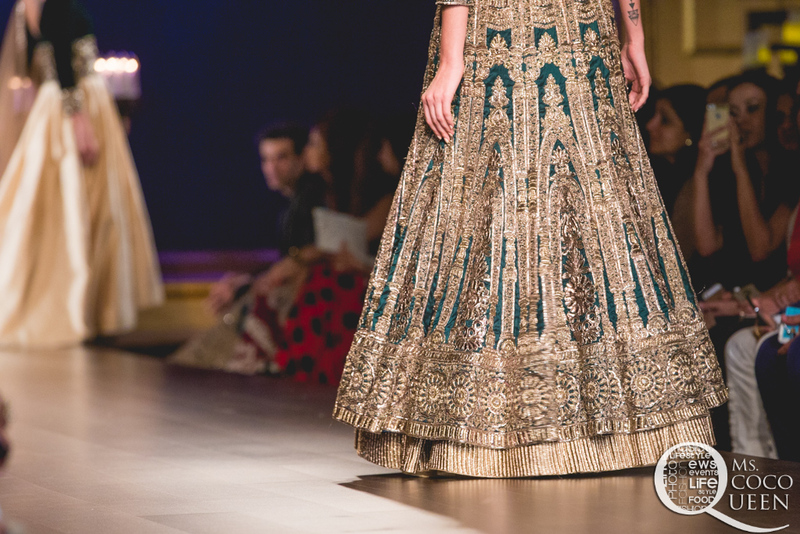 Though everything was Indian (no gowns), the collection had something for everyone. Sisters and friends would also find lots to ponder for themselves! The colour palette was demure and light. Shades of Brown, highlight being the beige with hints of pale pink, grapevine and granite here & there made the first capsule of the collection. 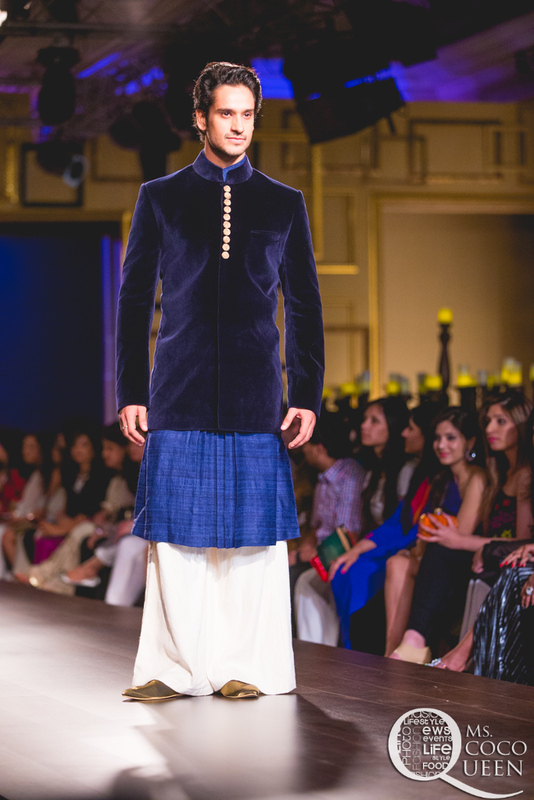 Later Manish’s fav velvets in emerald & maroon made a quick appearance. Later came the red! oh yes-the bridal red. Modern bride had boycotted the old red and explored pinks and other colours but red for their d-day. 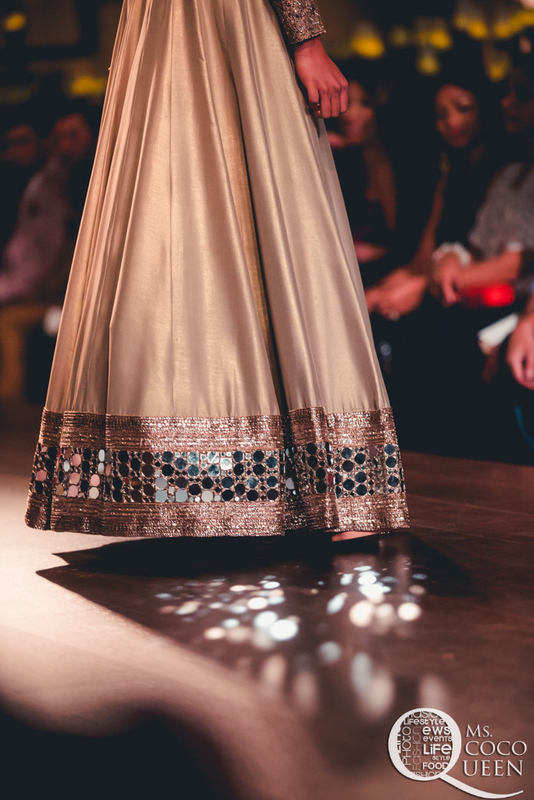 Well Manish certainly wishes to get the red back and the entire bridal lehenga capsule of his collection was in colour red. 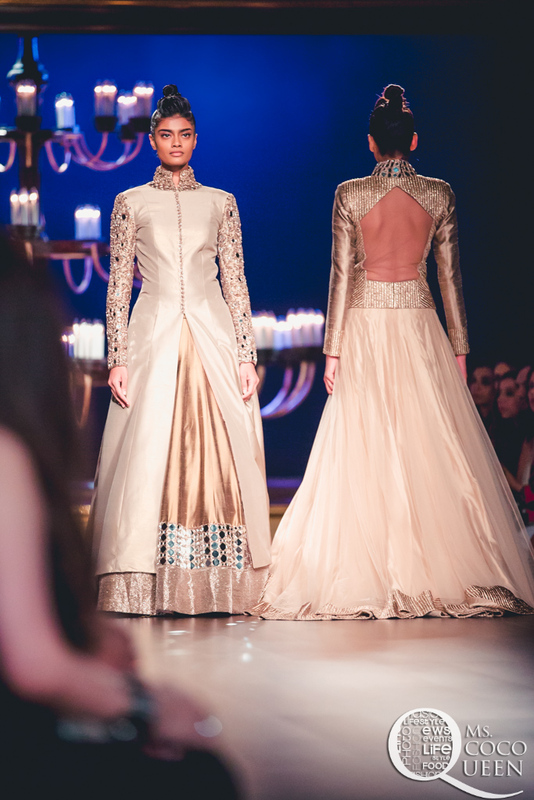 BRIDAL Trend Alert! 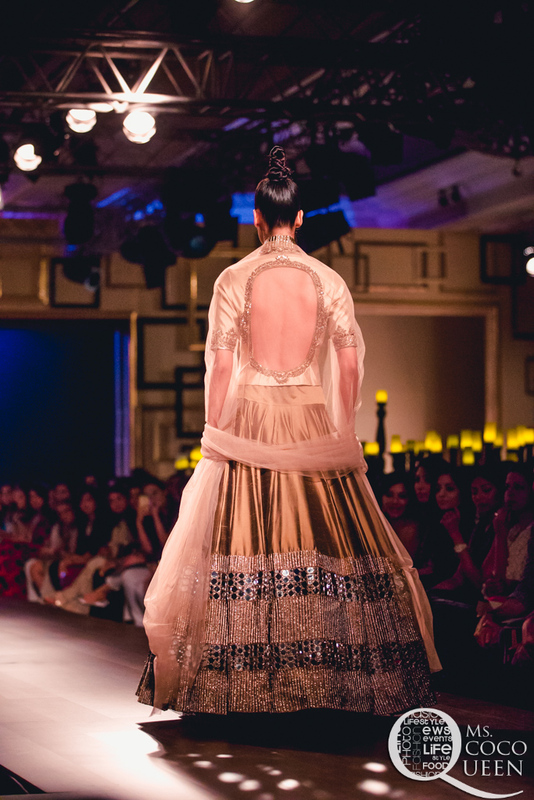 For the longest time no big designer explored the mirror work. 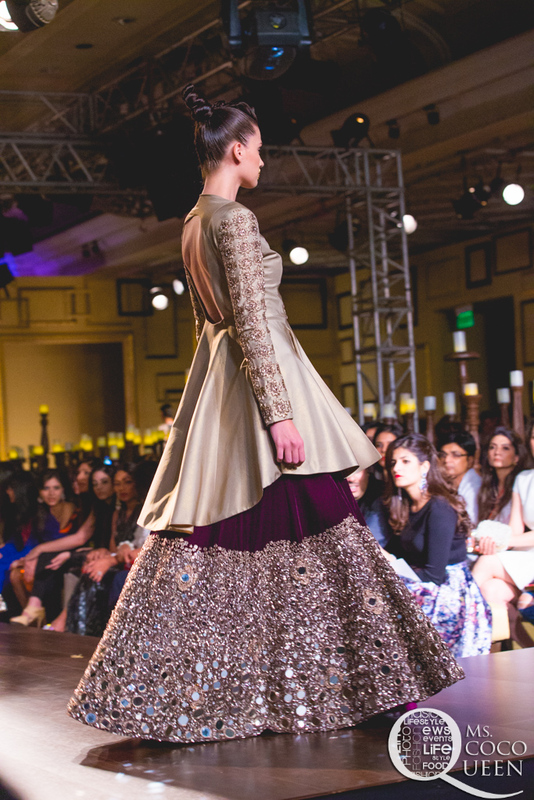 But manish brought it all back in this collection. 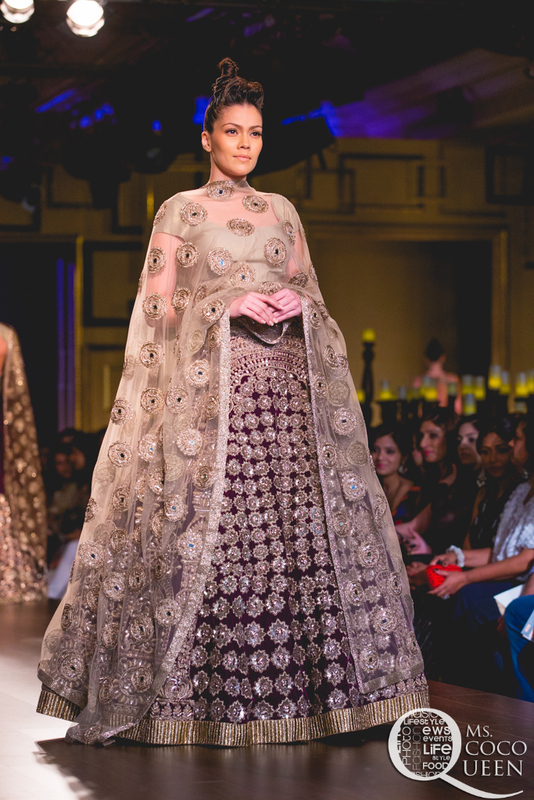 The mirror work was so detailedly crafted that it looked like uncut diamonds from a distance. 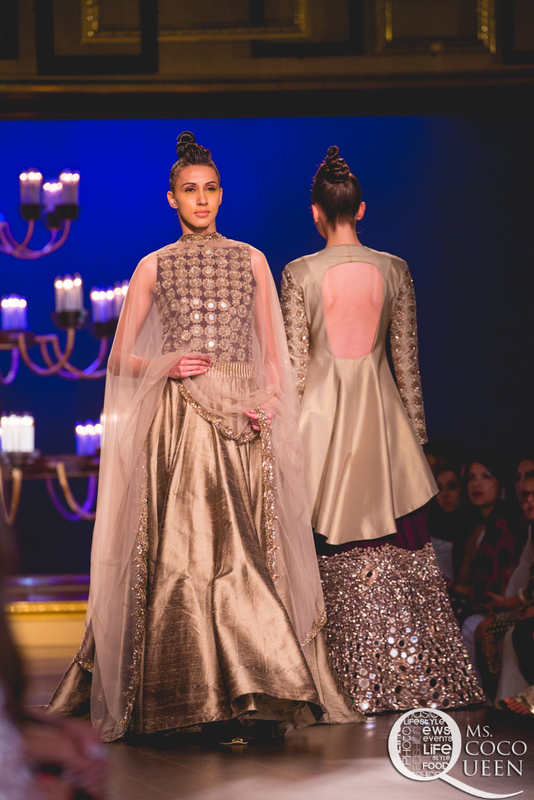 Mirror work with gota, sequin, zari, the work was fine and exquisite. 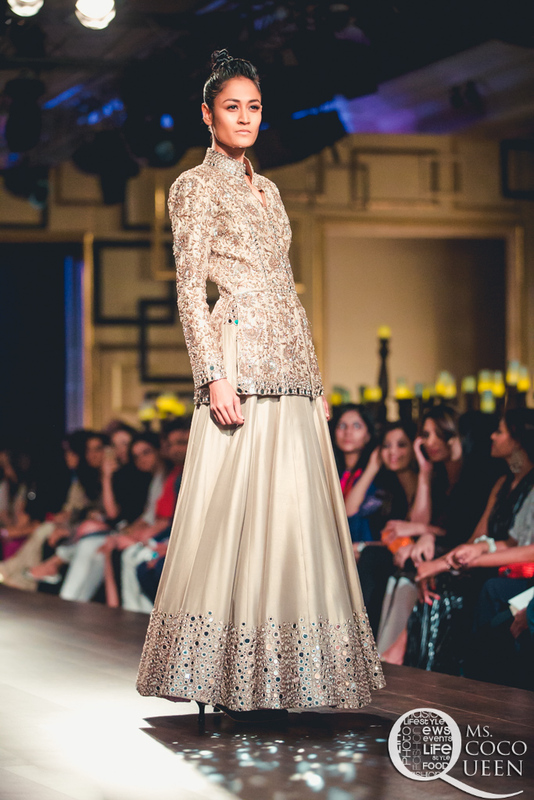 “The mirror work is a statement this season” says Manish. 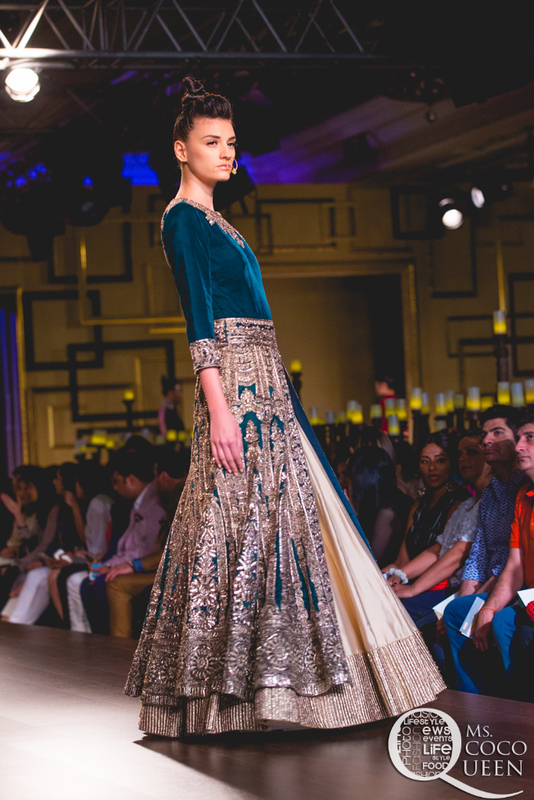 Another BRIDAL Trend Alert. 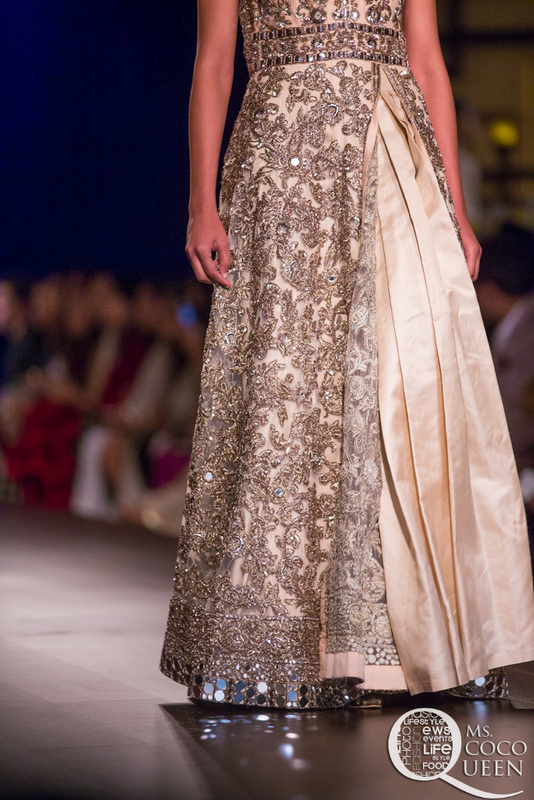 Then came the fine, beautifully and elaborate ivory thread work. 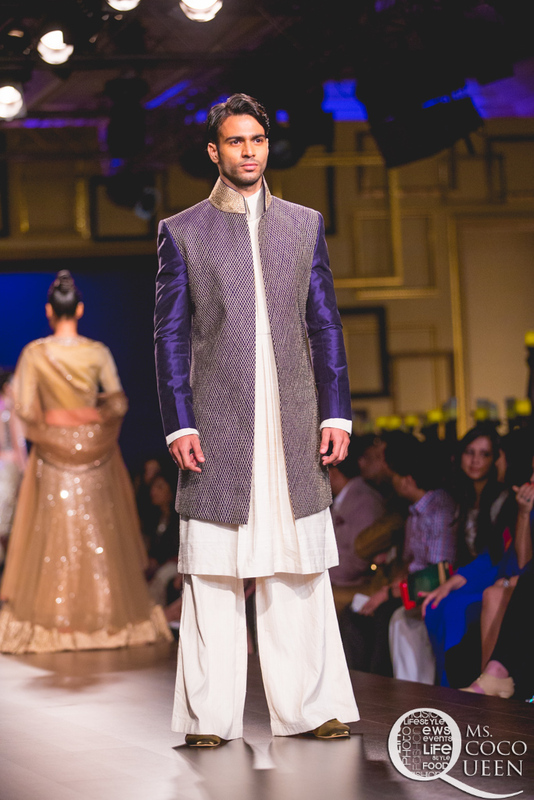 Men”s sherwanies with relaxed linen pants looked dapper. 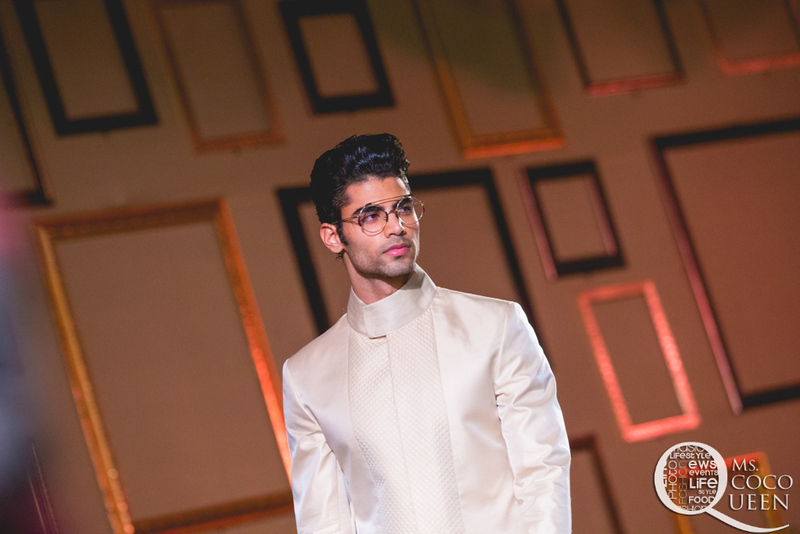 The linen pants added a kind of swag to the models walking down with transparent glasses. 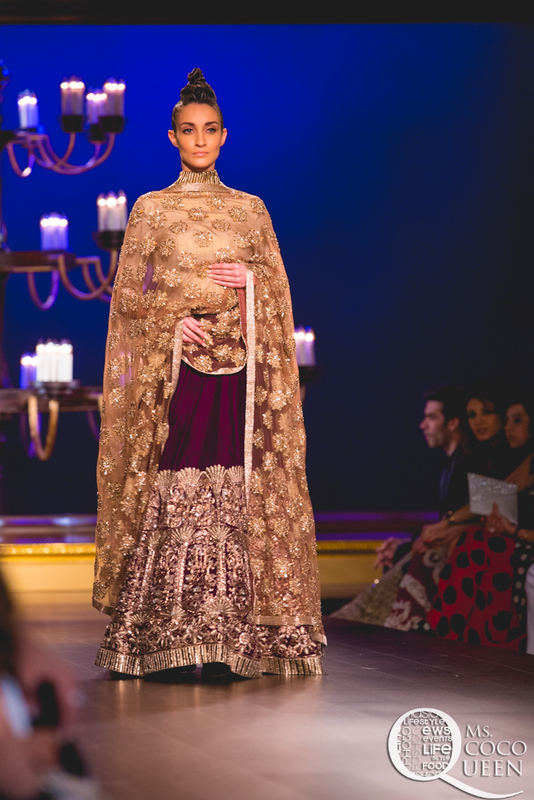 My fav work has to be the Kashmiri zari. After temple jewellery its temple apparels. 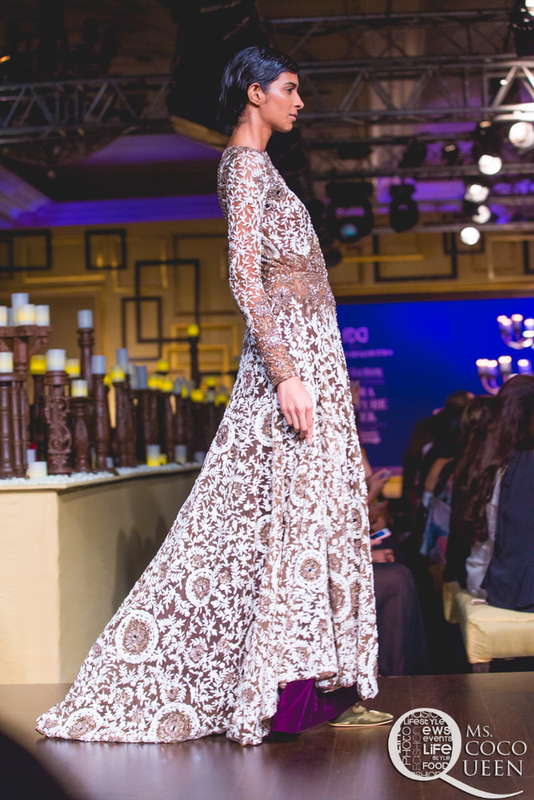 The designs looked so regale! 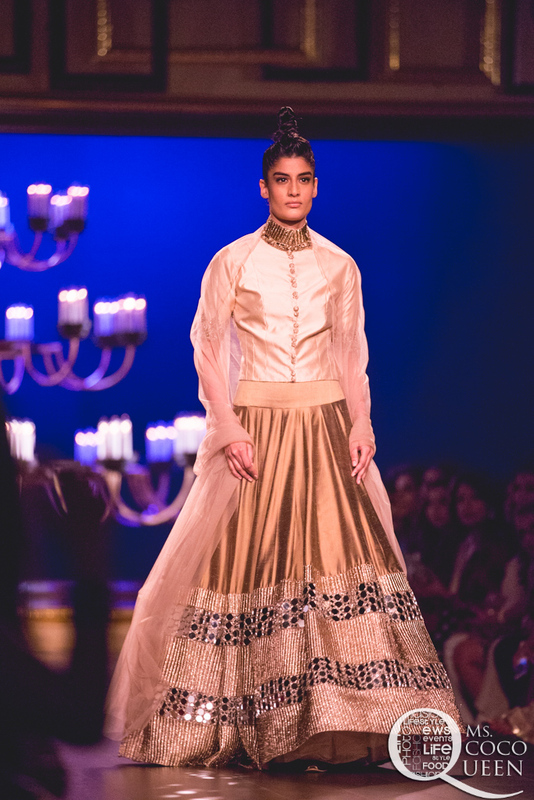 Dark gold craftsmanship and designs that looked inspired from great vintage temples. 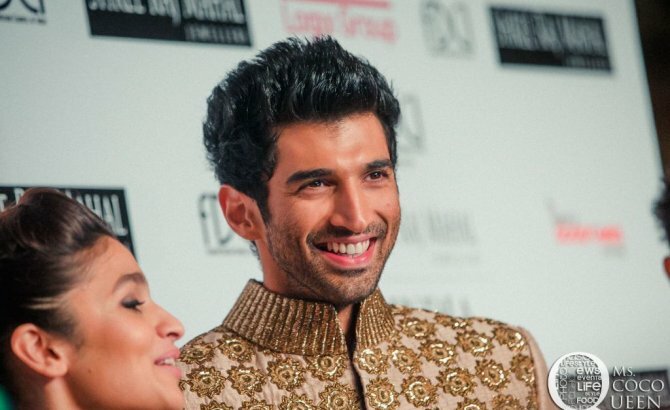 Click here for complete Manish Malhotra collection along with the ultra cute Aaditya Roy Kapur and pretty Aliaa Bhatt.